I’m not a fan of salad unless it’s drenched in dressing, and not just any dressing, but something that has a punch of flavor. 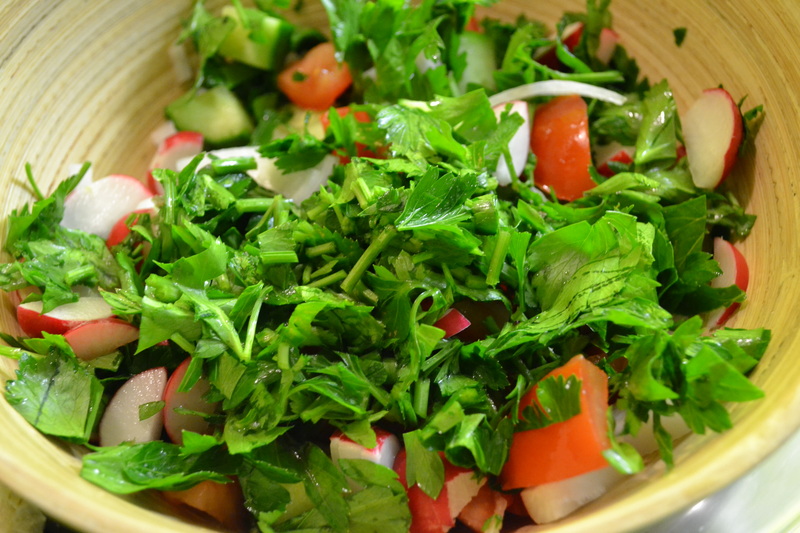 Caesar dressing is my all time favorite, but the dressing that goes over fattoush is right up there with it. 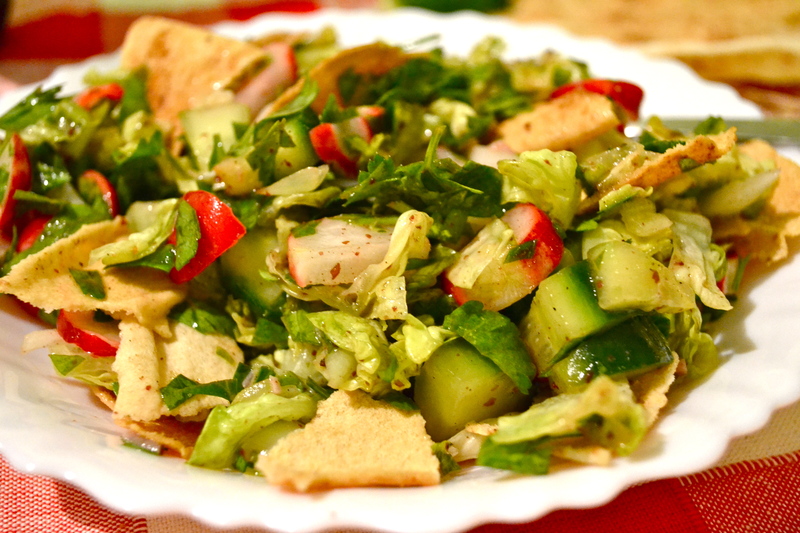 What I love about fattoush is that it doesn’t rely on the dressing for flavor. Parsley is used as a main ingredient, and the combination of vegetables and crunchy bread is just perfect. The dressing stays fine in the fridge so you can make it in a large jar and refrigerate it. This recipe is good for a large bowl of salad that serves at least 10 people. Just pour everything in a jar and shake well. It’s always best to use fresh lemon juice, but if for some reason you can’t find fresh lemons(happens to me ALL THE TIME) or you don’t want to go out and get some, then you can use concentrated lemon juice (the one they sell in the bottles that look like lemons), but obviously you’ll need to add less because it’s much stronger. If you love garlic like I do, add a little more! The colors in this dressing are so royal and delicious! The deep gold of the olive oil and the bright purple of the sumac (which you should be able to find at an arabic grocery store. If you’re in USA most big grocery chains carry it) go so well over the crisp array of vegetables! Pour over just enough dressing to cover all the vegetables, but don’t overdo it because it’ll get too sour. would Sumac be easily available in Lahore? Try alfatah and jalal sons. Maybe even Pioneer in Main market. It should be! i will..what is it exactly?